Cynipidae: Spreading holiday cheer and warped plant tissue. 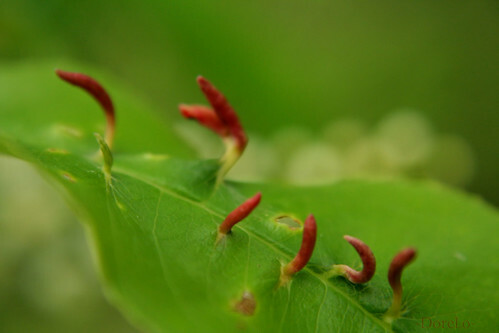 Galls are formed by plants in response to invasive lifeforms, such as wasps, flies, and mites. When the insect lays its eggs into the plant tissue, chemicals are released that cause the host tissue to swell up, conveniently forming storehouses of food, as well as protection from both weather and predation. Though other insects and invertebrates can create galls, the most insane-looking ones are the result of tiny wasps known as cynipids. These delicate creatures inject chemicals that cause the plant tissue to swell into unreal structures of incredible diversity. 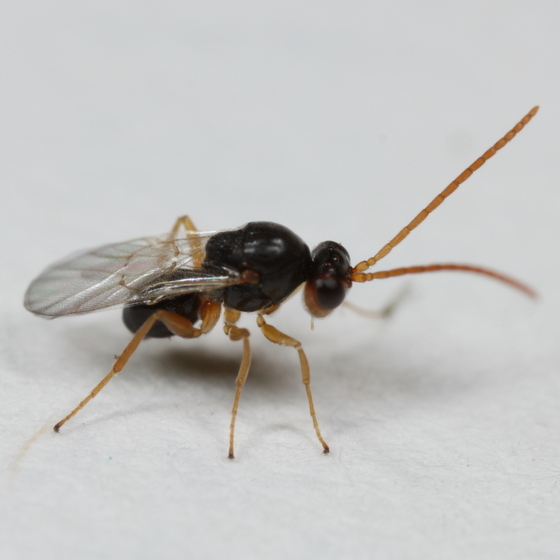 For one species of tree there can be hundreds of species of gall wasps that parasitize specific structures and tissues. After a few months to a year developing inside, the mature wasp chews its way out, leaving a tiny hole, ready to mate (or not: some wasps produce all-female parthenogenic offspring) and make more beautiful galls to fill our trees with delight. 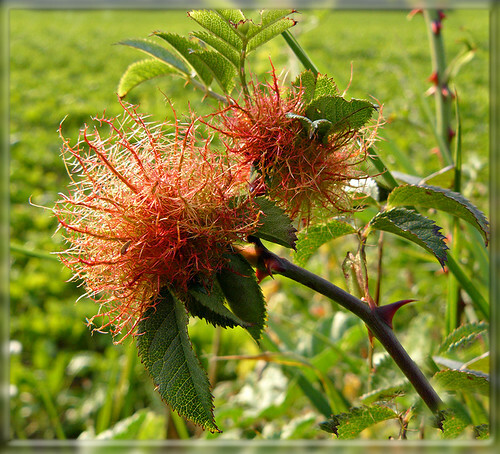 Here is just a sample of some of my favorite kinds, found in the beautiful Plant Gall Flickr Pool. A handy page at Boing Boing also celebrates galls in all their sculptural glory. The exact processes, chemicals, and interactions in which gall-forming insects cause tissue to form these structures is under intense study as entomologists tease out the complicated relationship between insect and plant. Personally I would love to one day have the ability to plant a tree, inject some wasp-hormone into the trunk, and watch it warp and twist until it became a cozy artist's studio. Next post I'll share some more gall-oriented artwork! 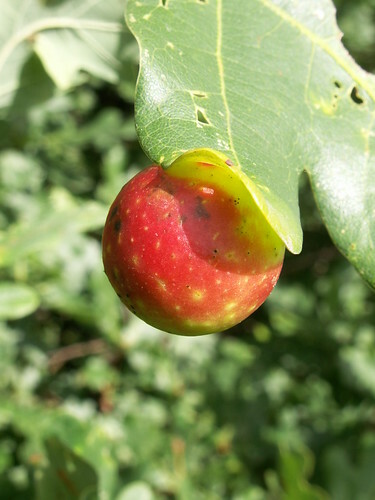 This entry was posted in insect, JD and tagged cynipid, gall wasp, JD, ornament, sculpture, solstice. Bookmark the permalink. 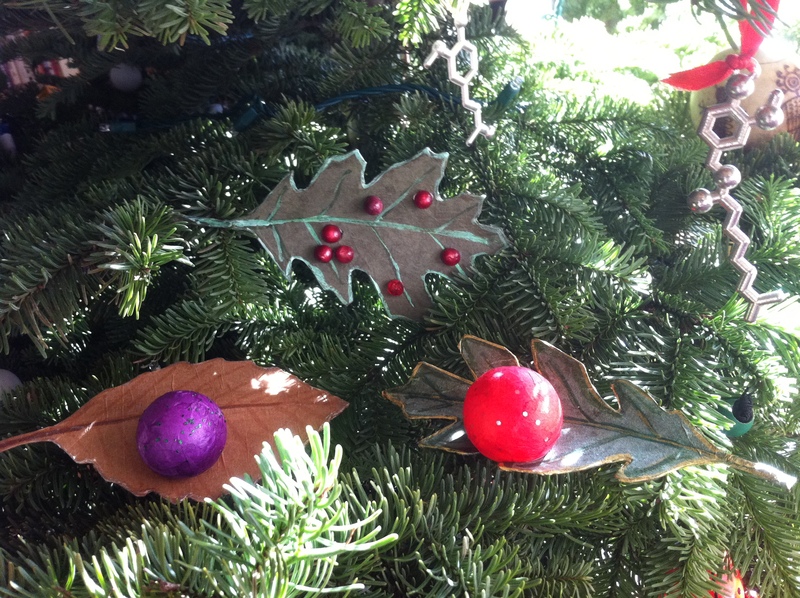 I love your gall ornaments! What a great idea! What a brilliant idea! I want some for my tree. This is one of my favorites http://bugguide.net/node/view/332209, made by a gall midge on goldenrod. Fantastic idea. A wonderful way to celebrate one of evolution’s more interesting gifts.